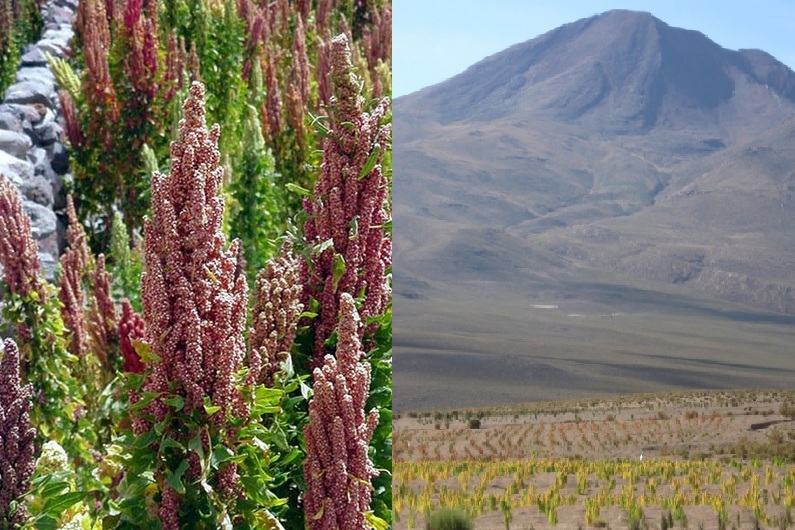 Quinoa is a grain that originates from the Andean region of Ecuador, Peru, Bolivia, and Columbia and has been cultivated for the last 5,000 years by the Incas. Even before I travelled to Bolivia I always loved this grain, but after trying it there and seeing it grown in the Andes where very little other vegetation grew because of poor soil, I had an increased fascination with this grain. Not only is it high in fiber, protein, and vitamins and minerals like iron and calcium, but it’s so versatile and can be eaten so many ways. Quinoa has been known to be called a “superfood” mostly because of its high protein content (18%) and its balanced set of essential amino acids making it a complete protein source. 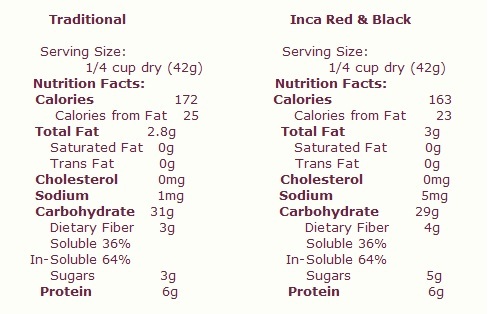 Additionally, it is a good source of fiber, phosphorus, magnesium, calcium, copper, and iron. 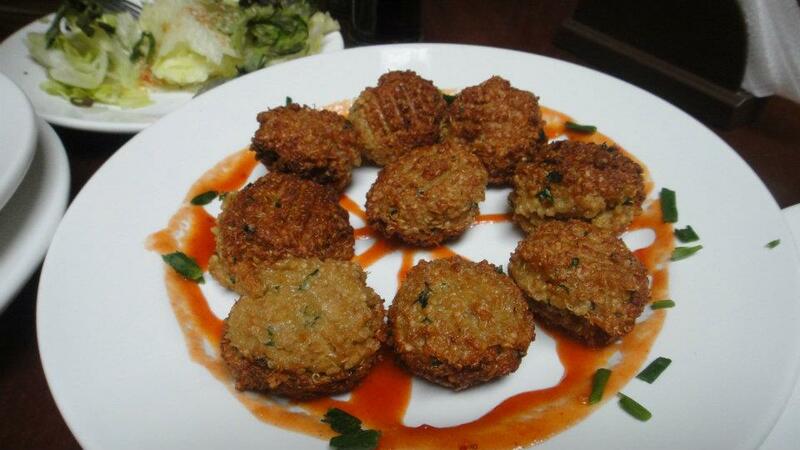 And for those that are gluten intolerant, quinoa is also gluten-free! 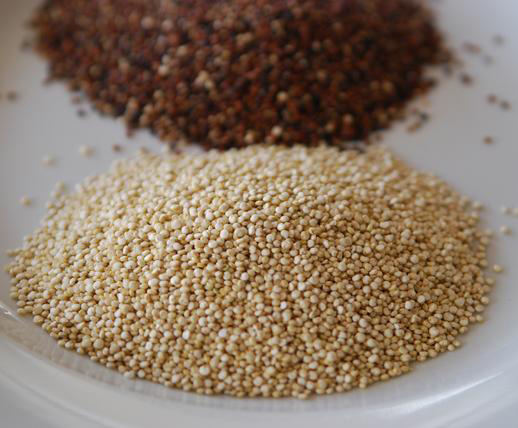 Are there any nutritional differences between regular and red quinoa? As you can see, they are both highly nutritious and differ slightly in fiber content and iron, with red quinoa being the better choice for fiber but regular quinoa being the better choice for iron. I personally use both interchangeably in order to maximize benefits from both. Quinoa can be used in salads, soups, baked goods, pilafs, casseroles, cereals, pastas and can be served for breakfast, lunch, or dinner. Can you say versatile or what?